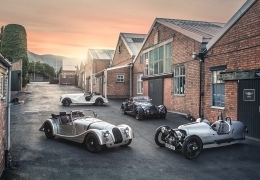 World War 1 fighter pilot and Morgan owner Albert Ball once remarked that his pre-war Morgan Three Wheeler was “the closest thing to flying without leaving the ground.” – Since that time, Morgan sports cars have been thrilling drivers around the world with their unique and exhilarating driving experience, be it on 3 Wheels or 4 Wheels. 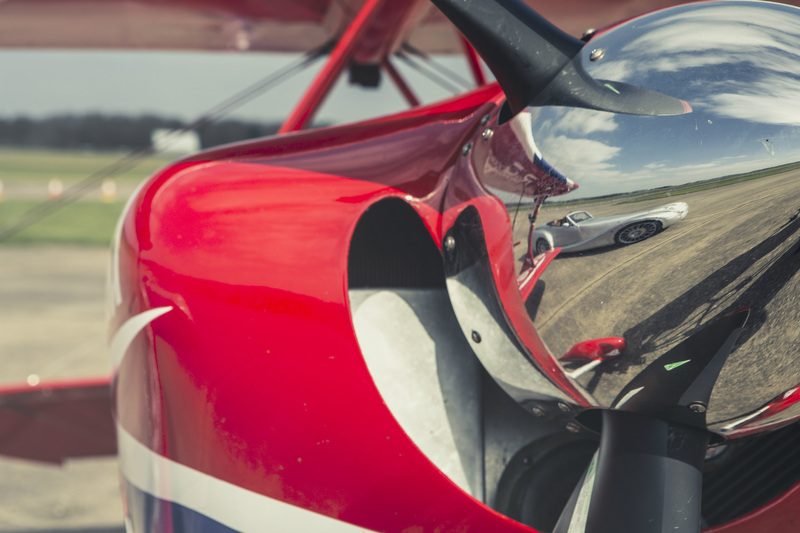 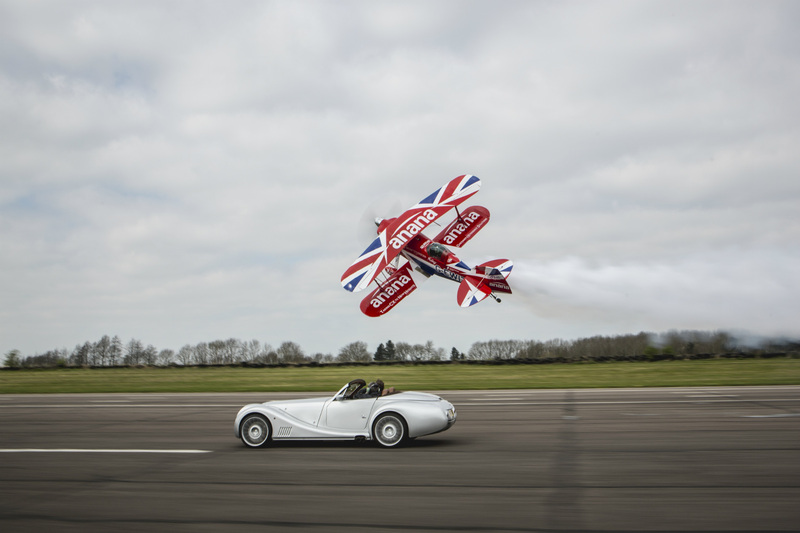 Their use, however, has never extended to a “race” between a Morgan and a plane, until now! 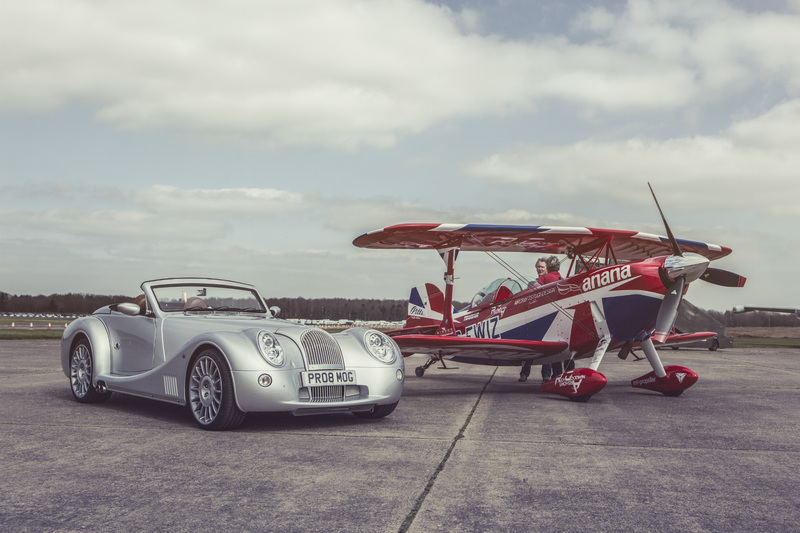 Morgan’s latest video pits their fastest model, the Aero 8, against a Pitts S2S muscle biplane in a head-to-head airfield drag race. 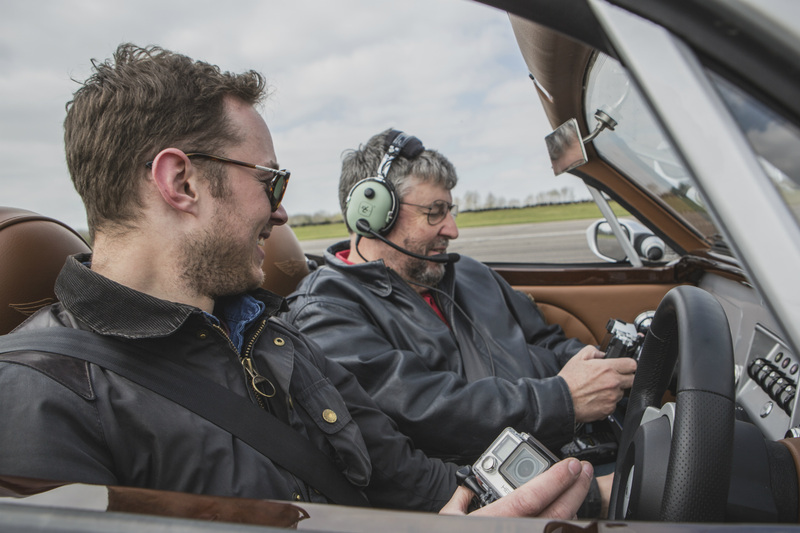 At the wheel of the Aero 8 was Jon Wells, Morgan’s Head of Design and the man who crafted Morgan’s flagship performance car. 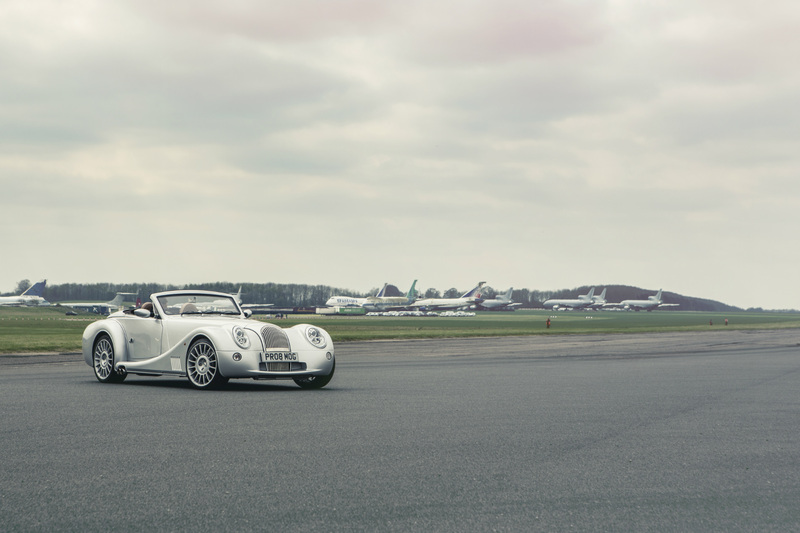 Boasting a 4.8 litre BMW V8 engine developing 367bhp and weighing just over 1 tonne, the strong power-to-weight ratio made it the ideal Morgan to challenge an agile and lightning-quick aeroplane. 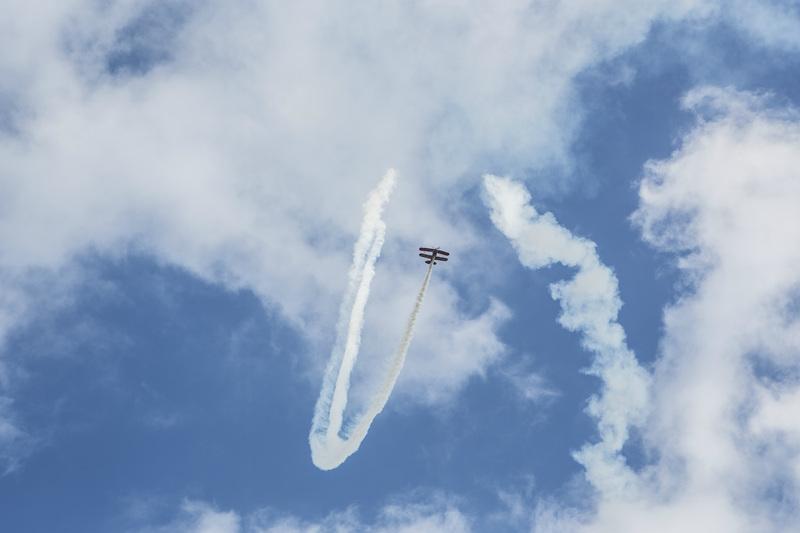 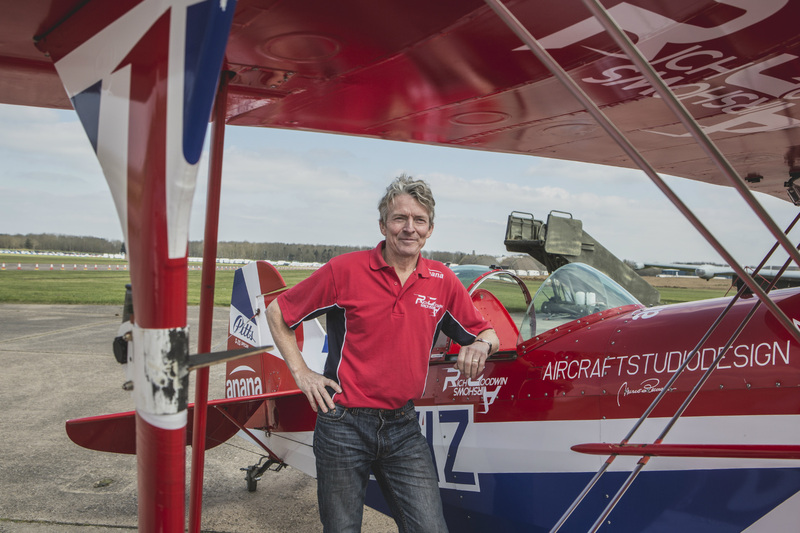 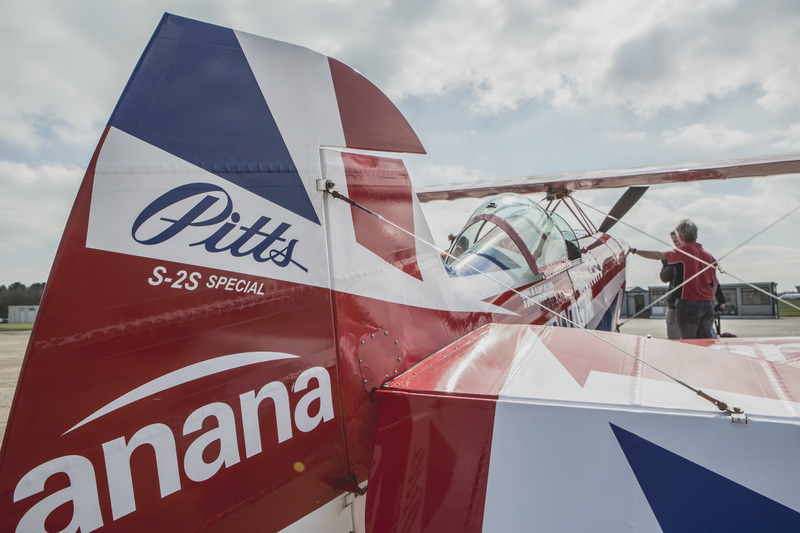 Flying the biplane was Richard Goodwin, a former military and commercial pilot, who has specially modified his S2S biplane, known as “G-EWIZ,” to wow fans with stunning aerobatic displays at air shows around the world. 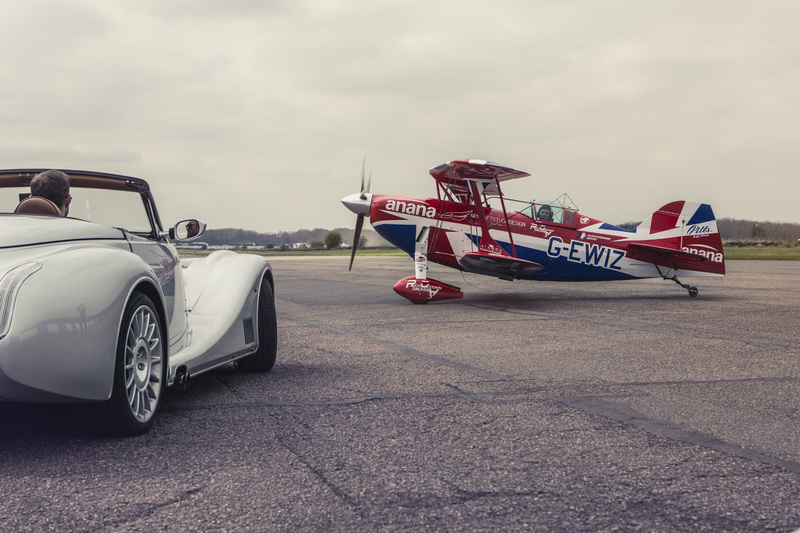 G-EWIZ is powered by a six cylinder, 8.5 litre engine producing over 300bhp and pulls forces of plus 6g and minus 5g at speeds of over 200mph. 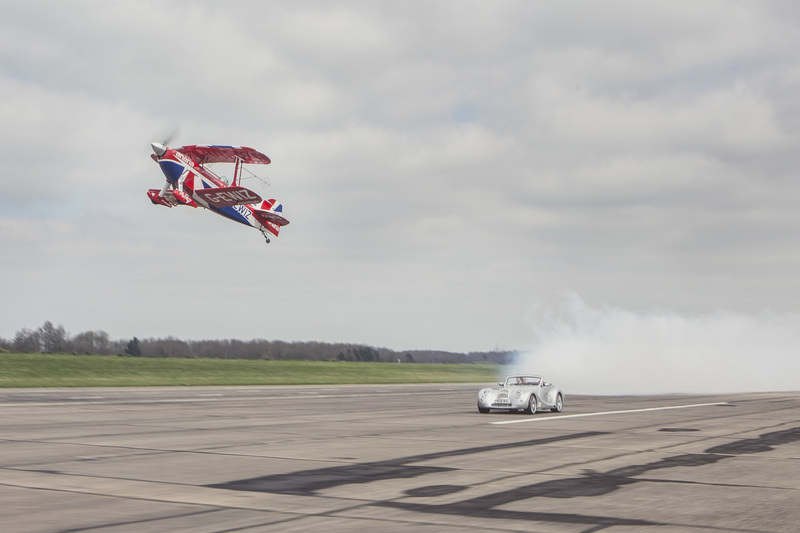 The pair of lightweight, high performance challengers met at Bruntingthorpe airfield in Leicestershire, England. 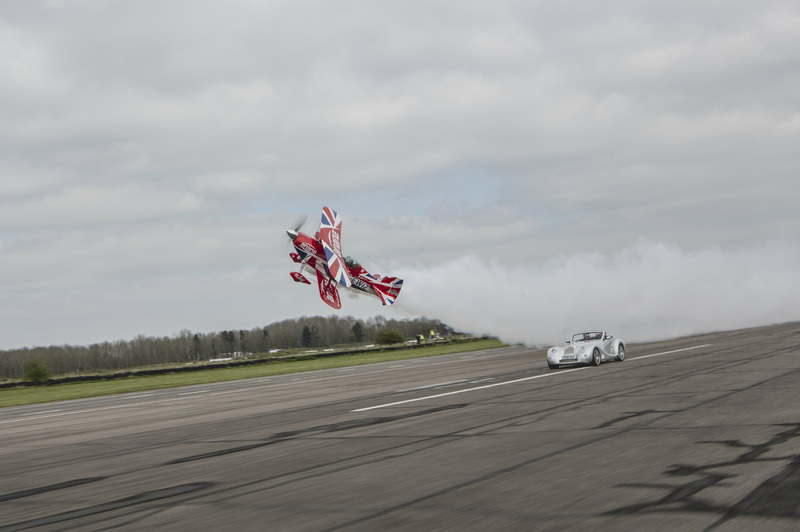 Confining this challenging stunt to a single take off and race, it was crucial that both driver and pilot judge each other’s speed to be in formation. 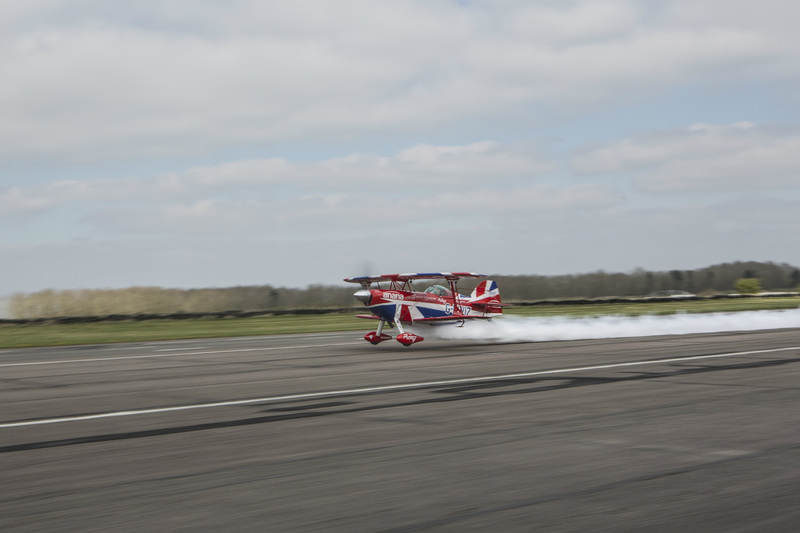 Following the initial take off, there were just a few runs to allow the plane and car to travel in formation with each other. 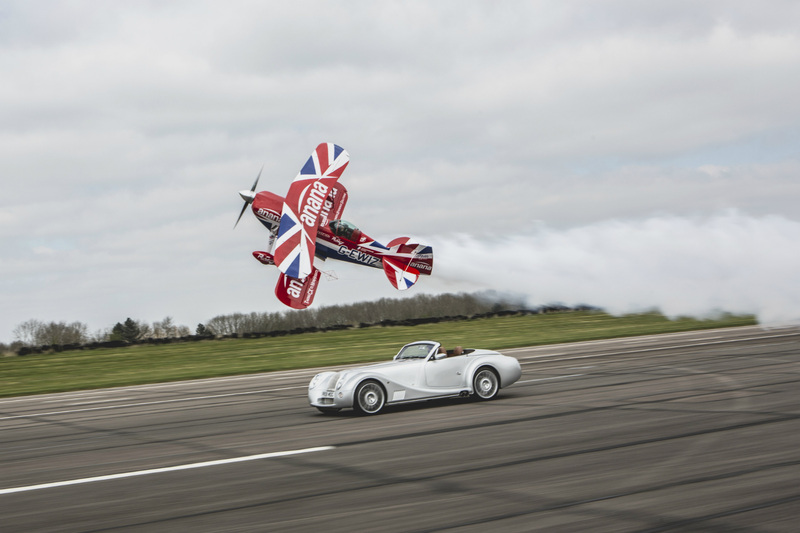 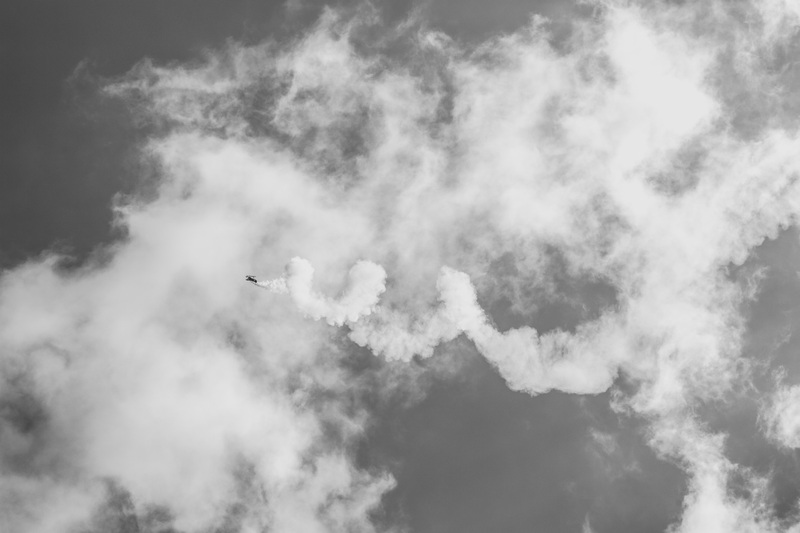 In true style, Richard activated the smoke cannons and executed the manoeuvre perfectly flying in formation with the Aero 8, just feet above the ground at speeds of over 100mph. 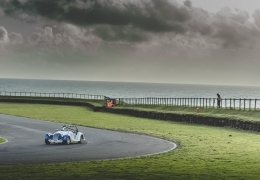 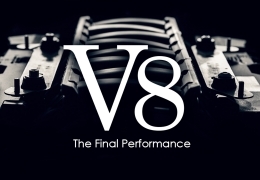 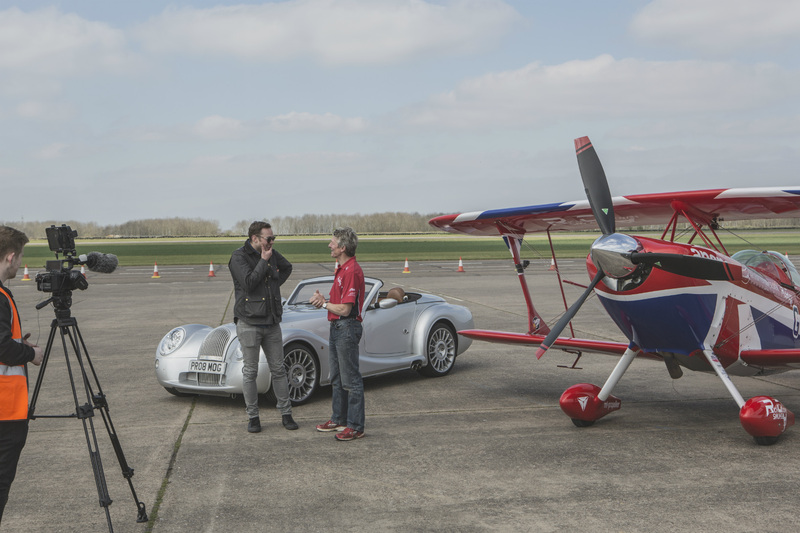 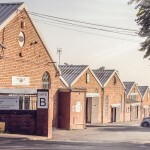 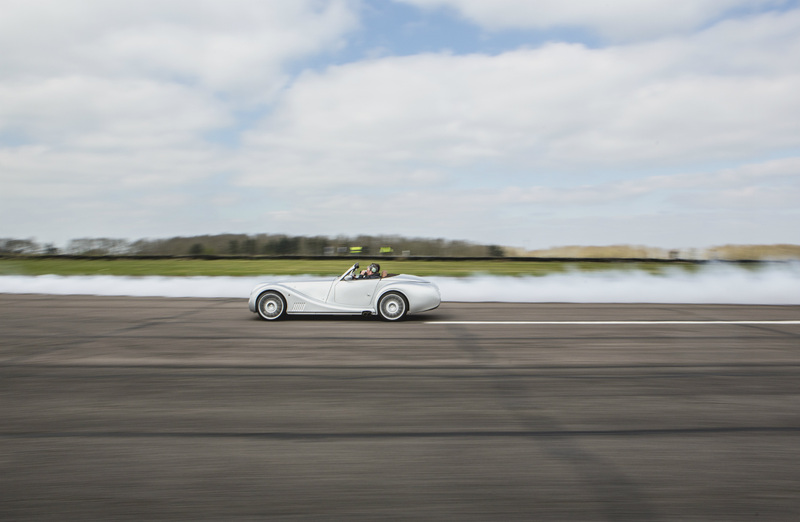 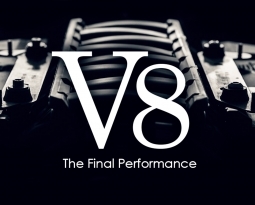 Morgan Motor Company would like to thank Richard Goodwin, Pogo Films, Nigel Bradford and Bruntingthorpe Airfield. 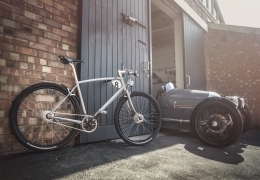 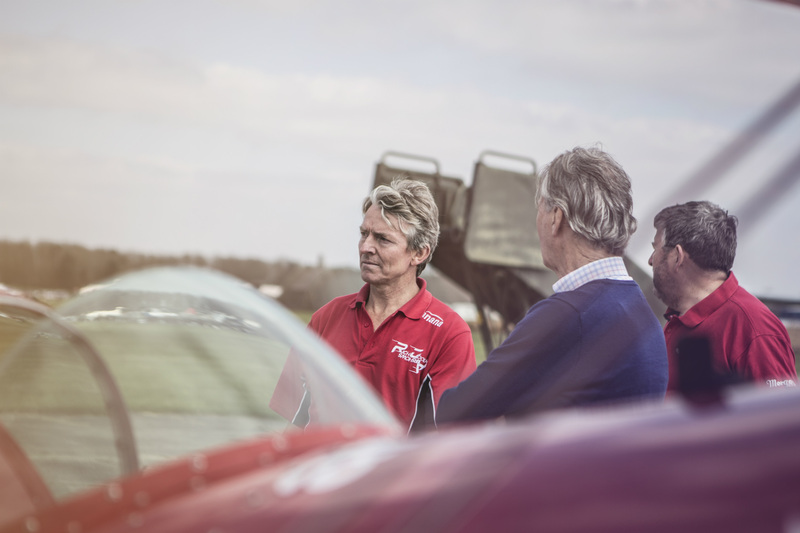 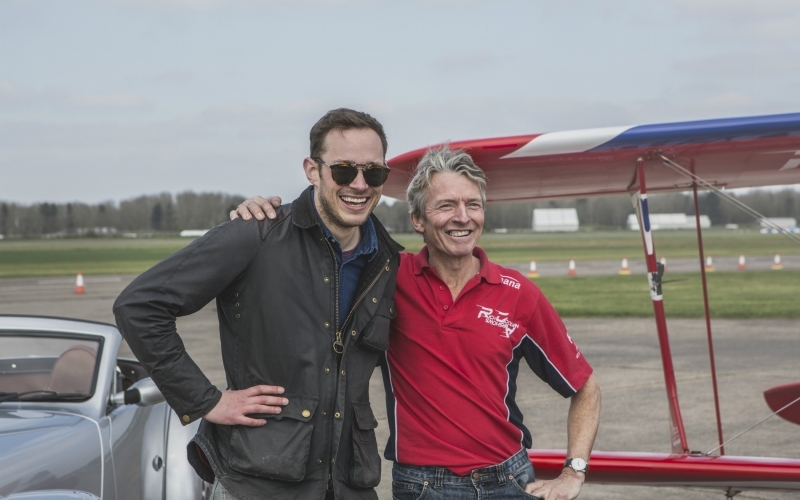 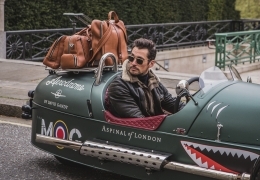 “On Monday morning my Morgan MD Steve announced that following a casual chat with ‘stunt pilot Rich’, that 4 days later I would be racing head to head with him in an Aero 8. 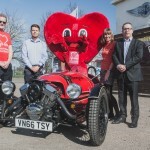 I required little persuading. 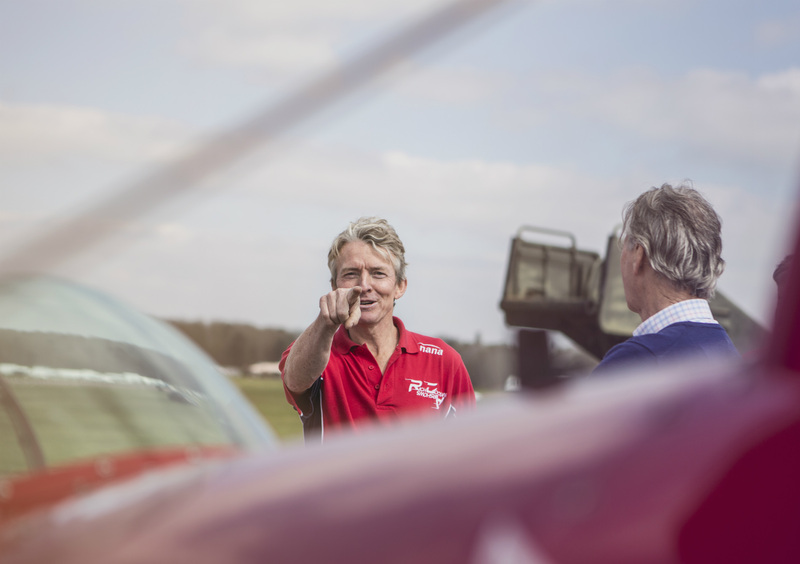 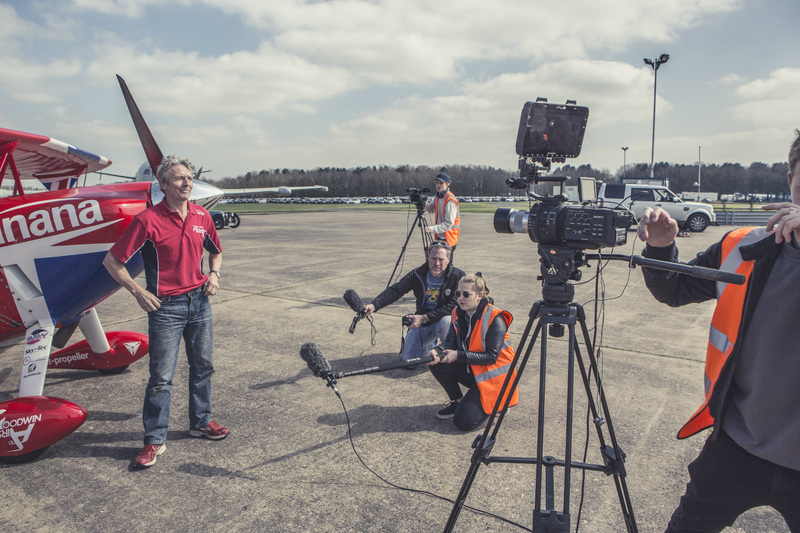 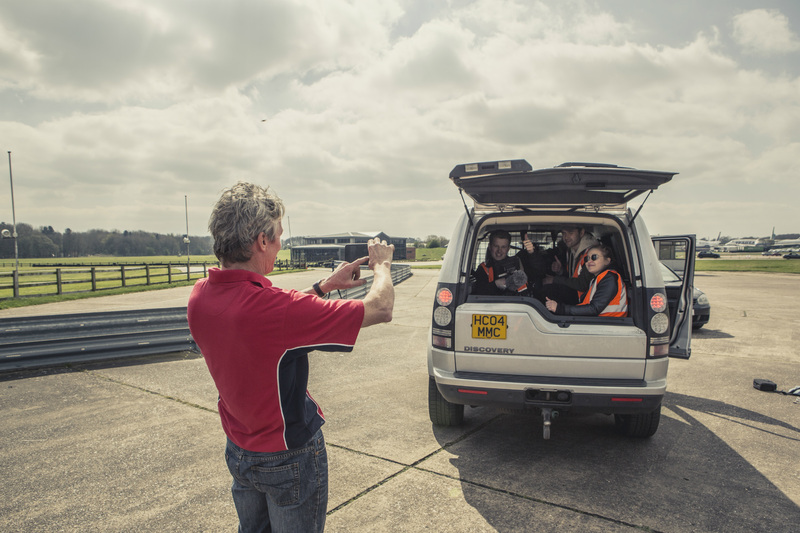 Our friends at Bruntingthorpe provided the perfect location, the weather was glorious, we briefed a film crew, and arrived on the Friday with very little idea of what to expect. This was no intended PR stunt, just a cool opportunity presenting itself to a team small and flexible enough to just ‘make it happen’. 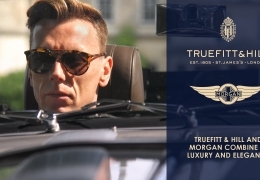 Neither Morgan, Rich or I needed more of an excuse!